Sharon Kay Fitzpatrick, age 82, passed away peacefully at her residence on Friday February 1, 2019 with family by her side. She was born to Albert Joseph Moore and Catherine (Clarke) Moore on January 1, 1937 in Broken Bow, Nebraska. After her mother’s death at a very young age, Sharon became a caregiver to her younger siblings until she left to pursue her calling at Marymount College in Salina Kansas, where she earned a degree in nursing. It was there in Salina where she met and married the love of her life, Jerry Oliver Fitzpatrick who preceded her in death in 2009. In 1990 she was diagnosed with a very aggressive life threatening form of Leukemia. She retired from nursing, became the patient, and launched an all out war on cancer. This was a very tough battle that she met with unbelievable courage, grit and determination. Through the grace of God, skilled physicians, Sharon’s mental toughness, and an incredible support network of friends and family, she was officially declared cured in 1997. While she won that battle, it would not be her last. 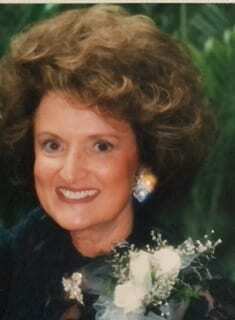 In all, she had a half dozen different cancers in her lifetime, but she never let cancer beat her. In fact, she became somewhat of an expert on the subject and helped inspire other people who were waging their own cancer battles. Even though she had cancer at the end of her life, she actually succumbed to pulmonary disease that stemmed from asthma and other respiratory ailments that date back to her childhood. Sharon loved to paint, volunteer, go to movies or musicals with her friends, watch tennis, or root on her Nebraska Cornhuskers and Dallas Cowboys football teams, but most of all she loved spending time with her family and playing games with her grandchildren. She is survived by her children Michael (Shelley) of Murrieta, California, and Marc (Michelle) of Plano, TX, brother Albert Lansberry Moore (Alphie) of North Platte, Nebraska, and her two grandchildren Ryan and Jarred. She will be dearly missed and forever in our hearts. A Funeral Mass will be held at St. Elizabeth Ann Seton Catholic Church, 2700 W. Spring Creek Pkwy., Plano, Texas 75023 on Friday, February 15, 2019 at 10:30am. Sharon will be laid to rest in the columbarium at the church. In lieu of flowers, please consider making a donation to the American Cancer Society or Susan G Komen for the cure. The family wishes to extend their gratitude to the staff and community of DaySpring Senior living for their loving care and kindness over the last couple of months. Im so sorry to hear about the loss of Aunt Sharon. Although she's not really my aunt she was to my grandmother Dorothy Gertrude Rull Thornton. I was simply brought up to call her Aunt Sharon and Uncle Jerry. My three little girls and I came when they lived up at Riverside California and shared Easter dinner with both she and Jerry and their two sons. It was a lovely time and what made it even more special was Aunt Lora was there and was able to meet my children. I will never forget that day as long as I live. Aunt Sharon wanted to make sure my girls and I had a nice Easter and insisted on us coming and I'm so glad we were able to share this time with both she, Jerry and Aunt Lora. I can still see us all seated around the big dinner table. Man, what a fabulous meal we shared! One last thing that always meant a great deal to me was that when my grandmother Dorothy passed away suddenly Jerry and Sharon invited me to sit in the car with them and we sat in that car for approximately 20 minutes and just cried and shared memories and I'll never forget that special time. Love and many prayers go out to all of you. Although it has been a while, I had the pleasure of meeting Mrs. Fitzpatrick a number of times over the years. She was always lovely to my family and I, and I enjoyed getting to know her. I know she will be missed. To her family, I hope you're doing as well as you can. Sharon truly was a woman of compassion and thoughtfulness. When Johnny was so sick and in the hospital four years ago for an extended stay, she called me one night and talked for a long time with such encouraging words. She listened and inspired me to be strong and have courage. I will never forget her kindness. She, Jerry, Mike and Mark came to our wedding in 1966, traveling all the way from Salina Kansas. We have pictures of them in our wedding book. The boys were so cute in their bow ties. Jerry & Sharon could always be counted on to come to family funerals because of their caring hearts. They came for both their Aunt and Uncle John and Dorothy's funerals in Texas. You could always count on them for support and encouragment. Sharon will be missed so much but we're rejoicing that they are together again. Jerry and Sharon were my favorite family members. I remember both from my childhood. When I got sick 4 years ago Sharon stayed in touch with us. She was also sick but cared for my well being before her own. She was a Godly testimony to us all. I loved Sharon for 40 years and already miss her terribly. We talked on the phone just a few days before we lost her. I never dreamed that would be the last time that I would hear her sweet voice. She was having a hard time then. I recently found a picture of my daughter when she was a baby with Sharon and Marc holding her. I treasure that picture and all the memories we've made. I wish I could hug her one more time. God Bless her and her loving family. She loved and adored you all so much. Sharon was a positive and cheerful person that was a blessing to be around,we all will miss her at Studio J salon. How lucky am I that Sharon called me "daughter". After meeting Sharon and Jerry, along with my Parents, Stan & Lois Schaetzle in 1991, we became fast friends. Mike and Marc...your Mother will always hold a very special place in my heart as my "Second Mom". She taught me some of life's most enriching lessons that I will continue to pass on to others. Here's to Sharon, Jerry, Stan & Lois all finally reunited. Much love to the entire family. I knew Sharon when we both attended Marymount College. On a trip home, we stopped at her aunt and uncle's home. There was where I met Hugh, the love of my life. I was always grateful to Sharon for that and our continued friendship through these many years.